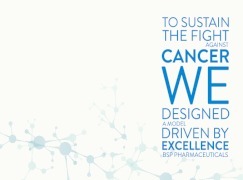 BSP Pharmaceuticals S.p.A. is a Contract Development Manufacturing Organization focused on development, clinical and commercial production and fully dedicated to anticancer products, without any potency limitation. 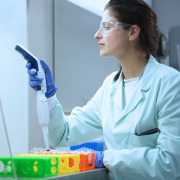 The facility is designed to handle conventional small molecules and ADCs (from Conjugation to fill finish) and very much focused on other innovative therapies. Our services can cover a wide range of manufacturing scales, from the early development up to the commercial, applying the most advanced and safe technologies, in compliance with the highest quality product delivery. The plant is a high containment manufacturing facility designed to achieve an Occupational Exposure Limit (OEL): <10 nanograms/m3. 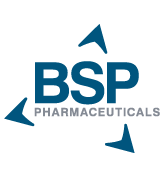 BSP has a manufacturing plant located close to Rome, in Latina Scalo (LT), Italy and a commercial branch in Princeton, NJ (USA). 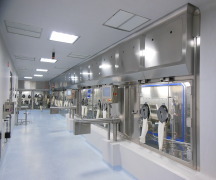 Our production area includes six sterile manufacturing suites (approximately 1850 ft² freeze drying surface in total); an oral department, for solid formulation (tablets, Capsules, Liquid filled hard gelatin capsules); BDS suites for liposomal solution and conjugation of ADC products; two development laboratories and integrated quality control laboratories. The plant is approved by several regulatory authorities, including but not limited to EMA, FDA, PDMA Japan, ANVISA Brazil.